I am frankly surprised at the difference in temperature between San Francisco and Oaxaca City. Not logically… mind you, but relationally. When we arrived in Mexico, it seemed pleasant and not much different than California. Maybe a little warmer, but I was still comfortable wearing jeans and a t-shirt during the day, with a jacket at night. But now that I am back in the States, I find myself craving the delicious, warm sun. 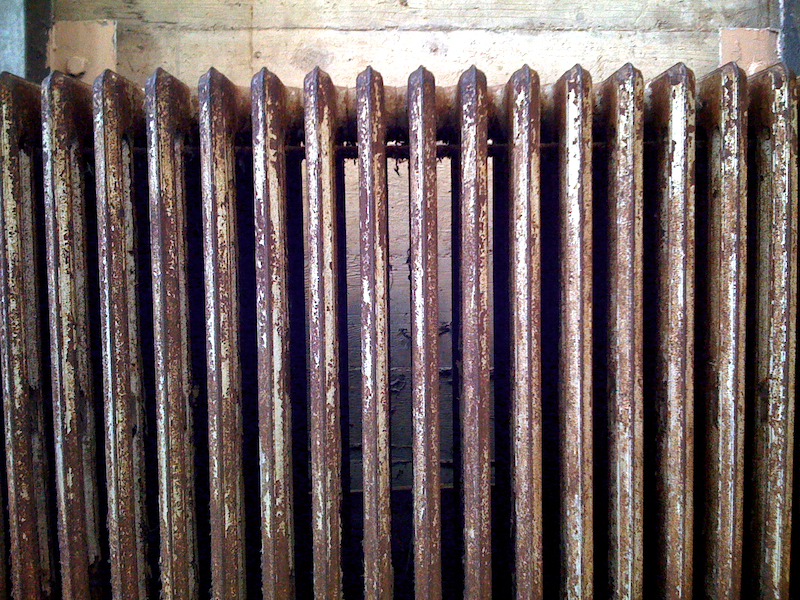 So when I came across this photo of a radiant heater taken on Alcatraz Island last year, it seemed amply appropriate for today. Now don’t get me wrong, I understand that there are places in the world so cold that pipes are freezing and entire commerce systems are closed, but in my neck of the woods… cold means I have to actually put on a jacket outside—and that is precisely why I choose to live here. So enjoy today’s snapshot texture and stay warm out there! Newer: Up in the sky, it’s… MEOW!